The overlapping musical origins of Mike Abercrombie and Brad Deschamps have led to a sound that shifts between music genres: Mike’s roots being in electronic music and Brad’s in post-rock. They share common interests in the works of Eno, Satie, Stars of the Lid and others, and their music is soothing yet with a clarity of awareness of the out there beyond what is often the prosaic miasma passing these days as ambient instrumental music. It’s kind of like lightly sleeping with one eye open; taking in a view and related sounds while acknowledging what might lurk in the underneath or the above. At first, the presence of a musical fabric sets a scene and then a transformation to what might be a song in search of a lyric or even a deep transitional groove—it fits well. At times the change in sound can be more than just a nudge (an unforeseen entrance of percussion or a back beat as in the middle of I Have Never Seen The Light—a wake-up of sorts, as if to ask: “Are you paying attention?—Don’t drift off just yet!”). It appears like a coalesced awareness from within a dream or as if sleeping in the warm sun when a cool breeze unexpectedly but pleasantly arises (a well known Canadian experience, I suspect). There are threads between pieces on the album (and also to North Atlantic Drift’s first EP) like with the common sonic roots in Passing Time and Monuments (the undercurrent that binds) with the themes further developed with sustained and reverberant electric guitars. I’m somewhat familiar with their previous album Canvas as well as their two EPs Amateur Astronomy and their first work Scholars of Time Travel, the root of the sixth track SOTT (part 2) on Monuments. Part 2 is the awakened day to the original EP’s quiescent night with first an undertow of processed piano, and then the Sun rises as the undisguised piano is revealed. I find that North Atlantic Drift’s music has a stronger connection to recent work by Robin Guthrie (Cocteau Twins) as opposed to Eno, Satie or SotL, yet the overall sound is more rooted in tangible instrumentation; the alignment with Guthrie’s work being that moods are set with an opening wash of sound (while a spring is being gently wound) and then a release to a fuller rhythmic soundscape. The most visually reflective track on the album is Sun Dial, the slow sweep of shadows passing as the light and activity waxes and wanes with the field-recorded ephemeral sounds of a day. The extra track So Long As They Fear Us on the CDr (not the digital download) is a return to the quietude, like sitting on a porch (in the dark) on a comfortable rainy night with a safely distant thunderstorm. And don’t forget to go back to their album Canvas—copies are still available. There are certain situations, places, visions, works of art or music that evoke emotions or memories that defy explanation; reactions that are beyond words, or perhaps descriptions that cannot do a sensation or experience justice. They are in effect, indescribable. This is the alluring feeling I am left with after listening to “Winter Garden”, the first simultaneous release by Eraldo Bernocchi (Italian musician and producer), Harold Budd (pianist and composer) & Robin Guthrie (producer, guitarist and founder of Cocteau Twins and Violet Indiana) on the RareNoiseRecords label. In the December 2011 issue of HiFi Zine I reviewed Harold Budd’s latest solo work, “In The Mist”. (Please see: http://www.hifizine.com/2011/12/harold-budd-in-the-mist/ ). I won’t dwell much on Budd’s many prior collaborations, other than to say that he has worked with many artists, including Robin Guthrie on at least seven releases. 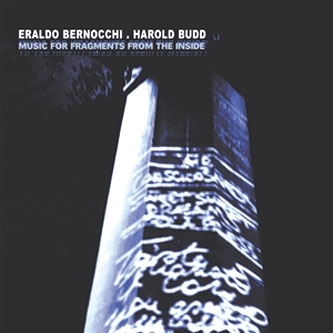 I am familiar with Budd’s work with Eraldo Bernocchi on Music For ‘Fragments From The Inside”–music for an art installation by Petulia Mattioli (a long time collaborator of Bernocchi). 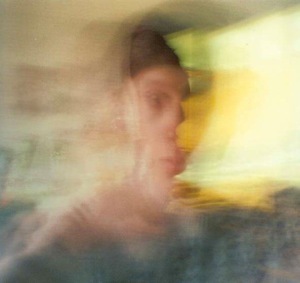 “Fragments…” was recorded live in 2006 and released on Sub Rosa as catalog #SR239 JC. 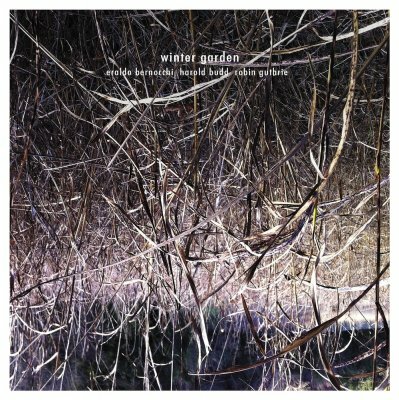 Coincidentally, Petulia Mattioli provided the graphic design and photos for “Winter Garden”. I admit to knowing little of Eraldo Bernocchi’s extensive prior work, and that exploration is for another time, so I will stay focused here on what I know. For background, I offer some brief thoughts on recent overlapping collaborations with both artists and Harold Budd: the 2011 Darla release entitled “Bordeaux” with Robin Guthrie, as well as “Fragments…” with Bernocchi. In “Fragments…” Budd’s piano work presents as a languid yet grounded introduction to Bernocchi’s electronic peregrinations consisting of treatments, rhythms, samples and deep pulses. Budd’s piano seems to reach for and tame the electronic wanderings while sensuously weaving, almost teasing Bernocchi’s explorations. To close the seven-part work of “fragments”, Budd’s piano returns as the foundation of the work—how this related to the video installation, I don’t know. With “Bordeaux”, the nine named tracks aren’t driven by rhythm, but by Guthrie’s guitar work forming fabrics of textures, colors and emotions for Budd to gently punctuate. The feeling of this work is of warmth and sensuousness. Guthrie usually leads-in with his layered shimmering guitar before Budd responds, to play off the direction and mood that Guthrie has set. There are exceptions to this on pieces like “So Many Short Years Ago”, “The Belles of Saint Andrew” and “Southern Shore” where Guthrie’s textures respond to Budd’s piano phrasing and chord changes. In “Winter Garden”, as the album’s title suggests, there is a chilled and mysterious sense of expansive desolation throughout. It is imbued with the vividness of the changing color of a winter sky; sharp golden light to warm the blue-grey chill of the winter air. There is also a dream-state cinematic quality to this album. The trio of Bernocchi, Budd & Guthrie play as a meshed ensemble with each artist taking the lead, depending on the piece or feeling being expressed. 1) Don’t Go Where I Can’t Find You: Budd’s piano takes the main theme with Guthrie’s layered guitar and light treatments from Bernocchi. The theme is an entreaty of sorts and there is a feeling of longing and desolation in the music. 2) Losing My Breath: There are long pauses that create a sense of tension in the theme, played by Guthrie, with brief responses from Budd. A sense of suspension and anticipation is apparent with slow movement to arrive at a destination. 3) Winter Garden: The title track, with main theme by Budd and supporting chords and bass line by Guthrie and Bernocchi. Despite what seems to be a desired arrival and sense of place, there is a dissonance in the sound overlays that I perceive as portraying doubt, a possible foreshadowing. Yet, there is also comfort and resolution in the theme. 4) Entangled: Bernocchi begins with a pulsing bass line, a sense of apprehension, but also movement with descending keyboard tones as the piece progresses. 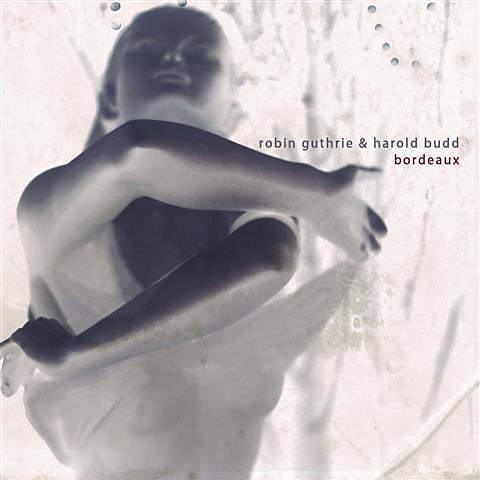 The “conversation” is between Budd’s treated and bending piano and Guthrie’s guitar melodies and chords, with Bernocchi overlaying rhythmic intrigue. 5) Harmony And The Play Of Light: A soft bass pulsing with layered keyboards and guitar, but here the piano is compressed, piercing the background and giving a sense of brightness. There is also a feeling of suspension and anticipation. 6) Heavy Heart Some More: The feeling in this track is somber, with a foreboding as it advances: deep piano and bass notes creating a sense of darkness. 7) White Ceramic: This track, to me, seems to be a pause of sorts (and I admit to having some trouble placing this is in the overall story). Perhaps it’s an aftermath. The tones are bell-like and the phrasing and melodies are wandering, and seem to me to be searching. 8) Stay With Me: A quiet beginning, piano and layered electronics leading to a subtle rhythmic backdrop and then movement, a sense of traveling somewhere again, perhaps from the winter landscape to return to an unknown destination. 9) South Of Heaven: The recapitulation of the slightly altered opening theme on piano, layered in shimmering guitars and bending electronics and subtle (deep) comforting bass notes, suggesting an ending and perhaps resolution. 10) Dream On: As if the sun is descending on a chilled landscape, a chorus of guitars and layered electronics move with the waning sunlight, a flowing bass line in support and piano as if thoughts are wandering…in reflection. The recording of “Winter Garden” is expansive and crystalline. I found it so easy to listen to with rapt attention. It draws one into whatever the story that is being told. As soon as it ended, I wanted to begin again–gorgeous. Note: This article will be published shortly at a music & audio equipment-related online e-zine and IS a solicited review (although I already had purchased the recording). http://affordableaudio.org/Affordable$$Audio/Current_Issue.html and http://www.hifizine.com/ Stay tuned for additional online locations.